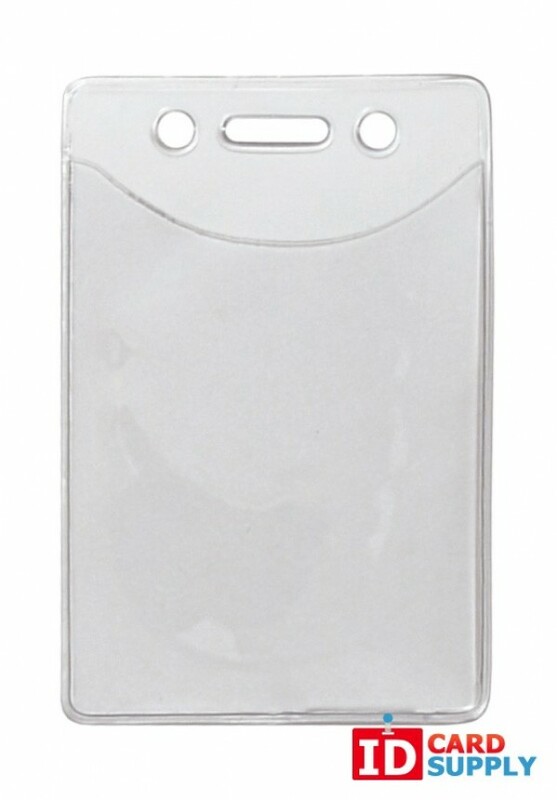 This Vertical Badge Holder will keep your ID badge from losing its print, as it is made from a special Anti-Transfer material. This badge holder is perfect for hot or humid environments, where material tends to sweat more. It is also scratch resistant and keeps your ID badge safe. Comes w/slot and chain holes for easy attachment to a lanyard or chain. Economically priced in lots of 100.